Converted from Raw, small saturation boost, lightness channel in LAB curves, unsharp mask. Horses get new shoes every 6-8 weeks. 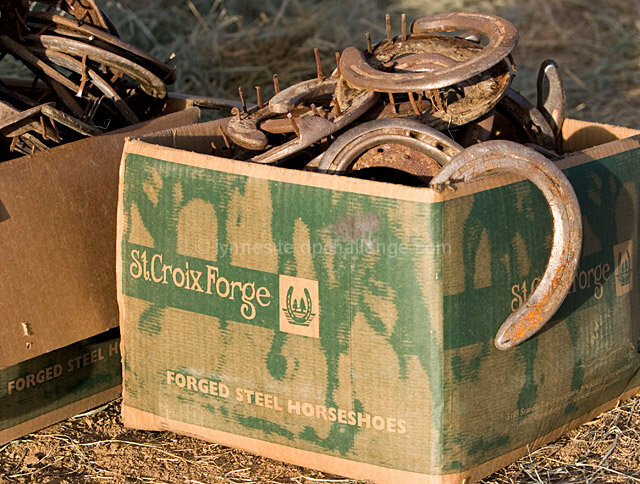 Used horseshoes are recycle-able, made mostly of mild steel. Complete with original box - make the photo. a novel approach for this challenge! kudos to your creativity! I think this was a good idea just lacked the appeal I think it may have had if more of the rusted horse shoes were visible. The box lacks texture and interest where as the horse shoes would have been more interesting as the focus of the shot in my opinion. Proudly hosted by Sargasso Networks. Current Server Time: 04/26/2019 03:39:48 AM EDT.